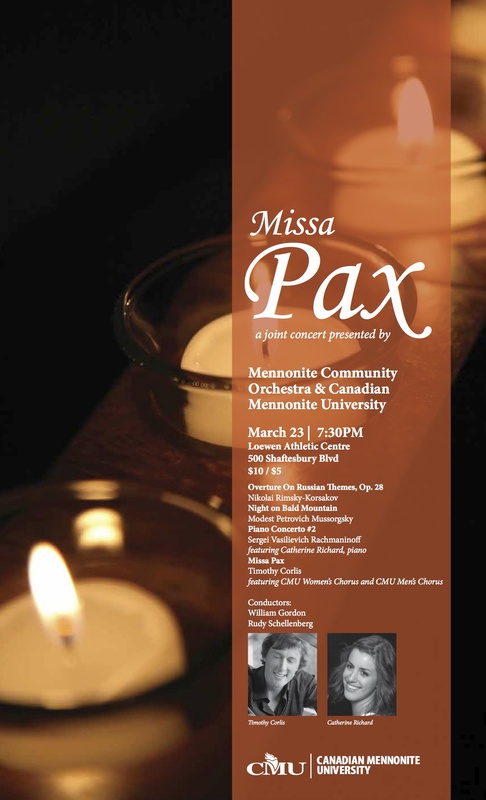 Missa Pax for Choir and Orchestra at CMU! To all the wonderful musicians who are part of the Missa Pax performance tomorrow: THANK-YOU!!! CMU Singers, CMU Men’s Chorus, members of CMU Chamber Choir, and the Mennonite Community Orchestra. Congratulations Catherine Richard, soloist for the Rachmaninoff – we’re proud of you! 9:54 PM, March 15 – Finished writing the Missa Pax for orchestra.